So, if you read Tuesday's guest post (if not, you can read it here) you'll have seen that I'm giving away a box of Rachaels yummy handmade chocolates. The competition is open till Wednesday the 4th, and I'll announce the winner on Thursday 5th. Orange Cream and Mint Choc Chip sound good. 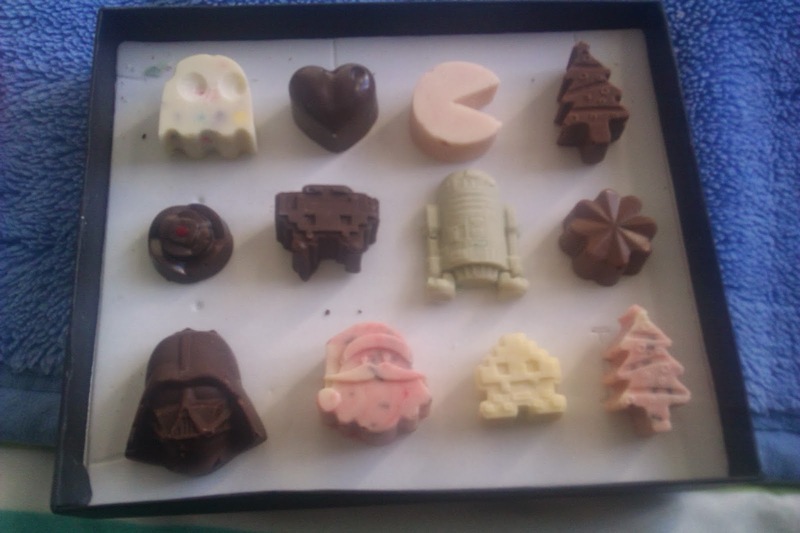 I like the Star Wars chocolate with vanilla filling. "Come to the dark side..."